Our new SAFT making good progress. Soon we will be installing 25000 m2 FM2 class floors. Contact us to get quoted on your next concrete flooring project. Concrete is changing and building techniques are too. 1 – 2 August 2018 – Come see how new advancements can improve your techniques and expand your product offering. Come contribute to our state of the industry forum and be heard! 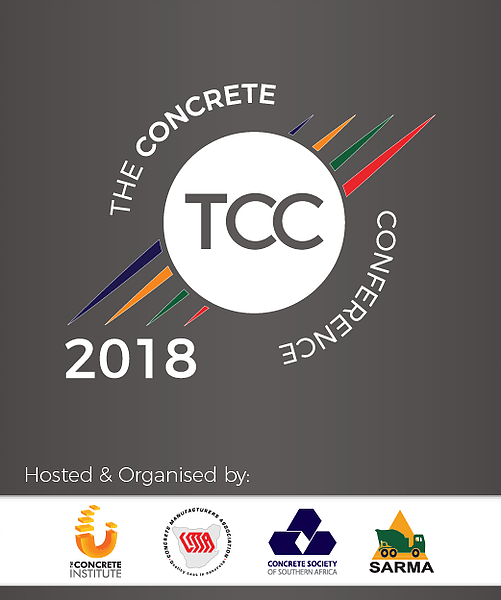 ​The Concrete Conference is brought to you by the Concrete Industry Associations, i.e. 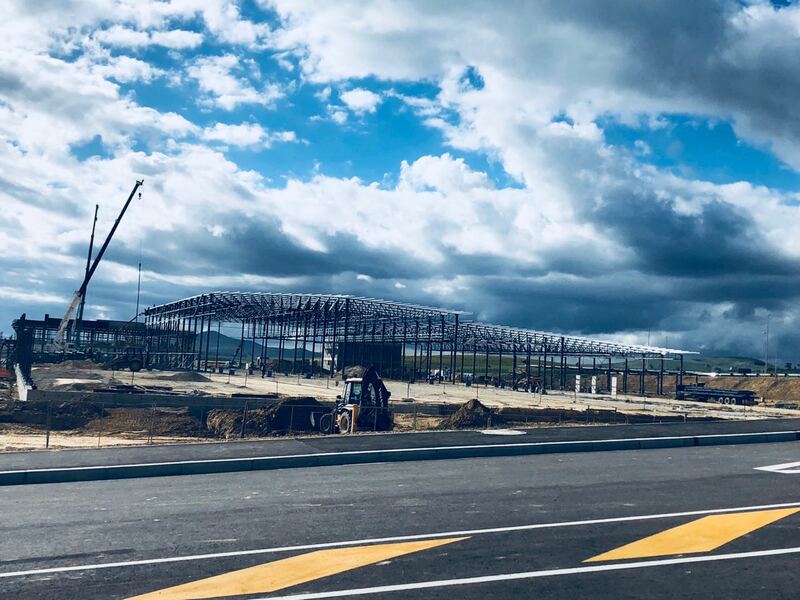 : Southern Africa Readymix Association (Sarma), The Concrete Institute (TCI) , Concrete Society of Southern Africa (CSSA), Concrete Manufacturers Association (CMA). The Concrete Beton journal is a unique publication providing an invaluable source of information on the science and practice of concrete, reaching professional disciplines that encompass project management, consulting, civil engineering, construction management, architecture, quantity surveying, as well as specialist material supplies in the concrete sector. 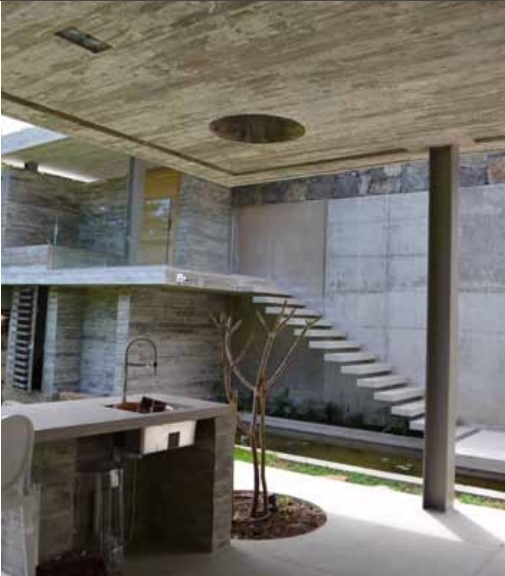 In the fast-track world of construction Concrete Beton keeps industry professionals informed on the latest developments in this field, at home and from around the globe, to ensure best practice solutions continue to be applied in building South Africa’s infrastructure. The editorial content provides a balance between scientific and technical discussions on concrete; includes features on industry projects and reports on events, seminars and general activities of the Concrete Society. Get your free online copy here today. We are very pleased and excited to announce that our Concrete Floor Grinding Services Division now have a Northern Division office. We will be servicing Gauteng and the surrounding areas with Concrete Floors and Overlays, and Concrete Floor Polishing. Polished concrete is concrete that has been processed through a series of mechanically ground “polishing/grinding” steps. Contact John Cook at sales.north@conservgroup.co.za for your next Concrete Floor Project in the Gauteng area. Project completed at Paul Roos Gymnasium in Stellenbosch. It is always heartwarming to please a customer and “fix” unsafe and unsightly concrete flooring. Seen below are the photos before and after…. Repair work completed on Concrete Floor areas outdoors. This was done with an aggregate mix, smoothed and polished. Contact us for your next Concrete Floor Repair Project. The charm of an overlay with aggregate on a polished concrete floor is it is available in an endless combination of colours and aggregates. No two installations are ever the same. Lastly the choice of colour and size for the aggregate…. Whatever your style, we can accommodate you. Contact us for your next AMAZING Polished Concrete Floor Project. 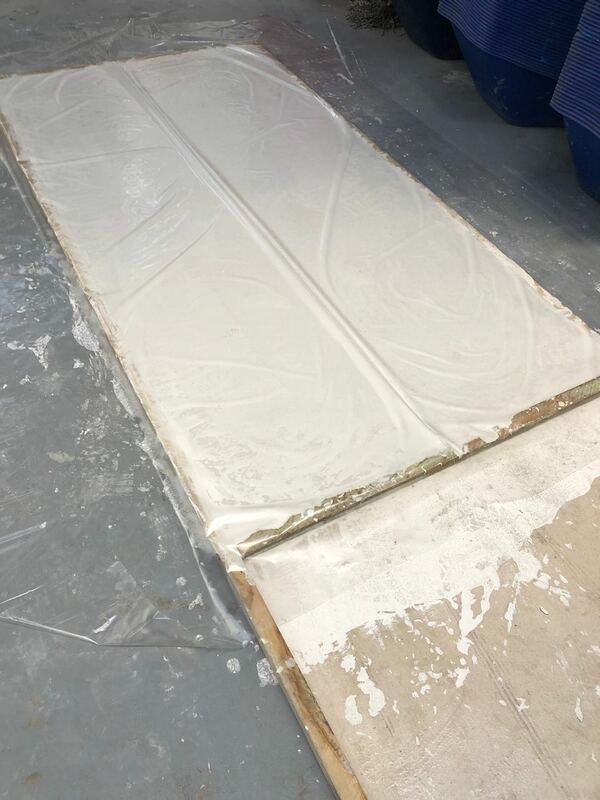 Following up on our test sample for the white concrete… on June 11th 2018 we introduced the test sample. What we did not mention was that it is not only white concrete… we added a secret component, and we think it turned out great.! Contact us to quote on your next concrete floor project. 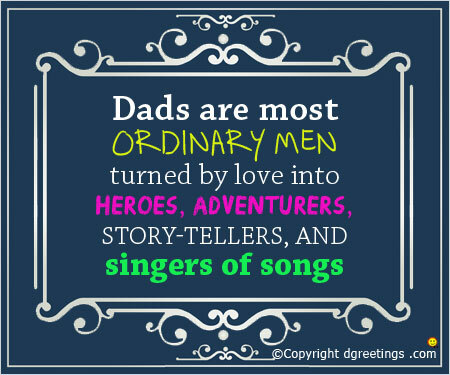 We wish all fathers /dads / daddy’s a fabulous day! You have earned it, just for being you! It’s Father’s Day. I believe it should be called Daddy’s Day! I honestly feel that any man can be a father; it doesn’t take much skill, but it takes a Real Man to be a Daddy! Being a father takes great strength of character and a determined direction to live. TO all fathers: we salute you! 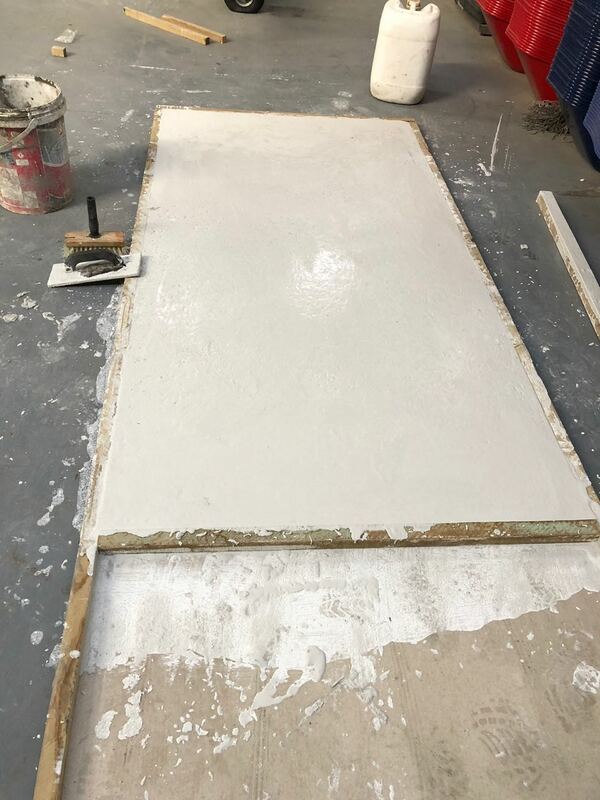 Seen below is our experiment with white concrete, freshly poured and waiting to dry. Once dry, we will grind and polish it to perfection. 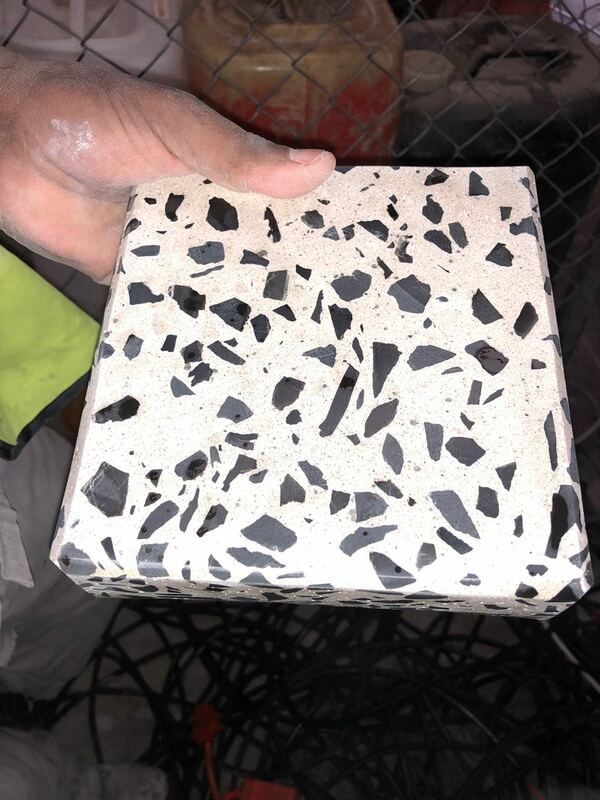 Although white cement has been around for along time, it is only comparatively recently that designers have begun to use it to achieve the striking color effects that white concrete can so ably supply. The product’s major asset, aside form its striking architectural beauty, is its ability to remain white throughout its life. White concrete, obviously, is not a surface treatment that can deteriorate with age. Experimentation can give big rewards since the color can serve either as a blank unobtrusive background, or be made to create an entirely new overall color effect. It is here that the use of pigments has its main value; a white cement is always preferable as the basis for a colored matrix, both because it is uniform in color to begin with (and therefore makes sample and remix matching easier), and because it allows a larger range of colors to be obtained. Is dirt accumulation a bit of a problem…? NO WORRIES… the experts say proper clean-up inside and proper drainage outside should take care of normal dirt or contamination troubles. Indoors, the recommended treatment for white concrete surfaces is simply a daily sweeping, damp mopping once a month, and scrubbing with a clean rotary machine every two or three months. 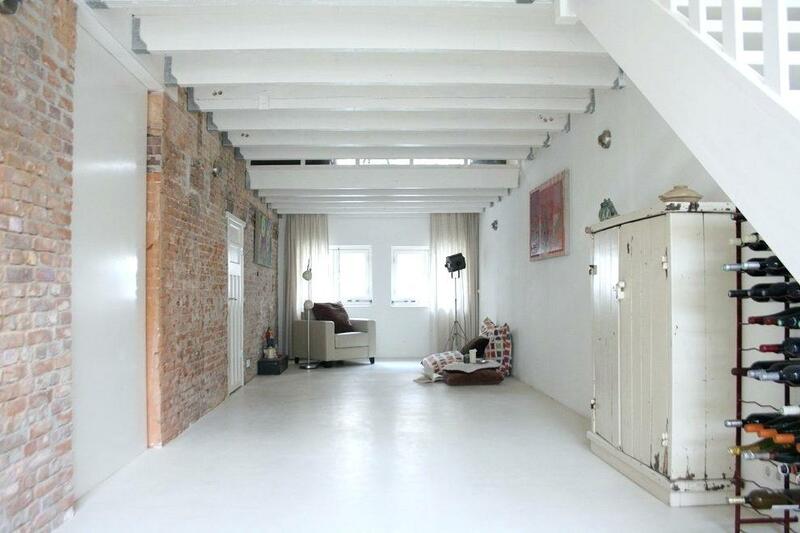 Look out for our next post where we show the Finished Polished White Concrete. Contact us for your next Concrete Floor Project. Fabulous Floors for the Thule shop in Stellenbosch. Enquire with our team of experts.